I will be honest with you here. If I hear that hoary old chestnut “change is the only constant” one more time, I will saw my own leg off with a rusty spanner. It is so painfully obvious and overused that it has failed to have any meaning. It’s also untrue. But, of course, like many trite and annoying sayings and those pithy phrases that get posted on your LinkedIn timeline every day, it’s sort of true. The world is constantly changing. Society is. The world of work is. And we are. Who we are changes. Who we were changes (or at least our perception of whom we were). Who we want to be changes. What we want to achieve changes. The circumstances of our lives both at home and at work changes. Constantly. Curses. Perhaps they have a point after all. We had better get used to it then. But it’s hard. And most of us don’t like it. Some do, and are actively searching for it, but most of us don’t – or at the very least, it makes us uncomfortable. Dealing with uncertainty and ambiguity is a life skill that most of us would rather not have to develop. It would appear, if the Leadership literature is anything to go by, that it will become increasingly important in this new technological age where Moore’s Law (computing power doubles around every two years or so) is still law after 40 years of it being posited. It changes everything. I use no more than about 20% of my phone’s capabilities (and that is pushing it) so I can’t imagine double the capability of the two-years-hence version. I do have two favourite quotes about change though. The first is from AD10 from a not particularly insightful or forward thinking Sextus Julius Frontinus; “Man has run out of things to invent”. It is easy to make fun of our Roman though. In a way, many of us do this – as I said, I can’t imagine my phone having double its capacity. I am horrified that some say the email is dead and we will all soon communicate by social media alone. I’ve only just got used to it. It is so seductive to think “that’s as good as it will get” about anything because we are limited by our imagination. Here’s another selection of change quotes. Let’s get them out of the way. Consider them a gift. Change imposed is change opposed. Anonymous. Anyway. You get the picture. There are a lot of them. One I do really like though, and use a lot in my change workshops, is the classic Charles Darwin one; “it is not the strongest of the species that survives, nor the most intelligent, but the one most responsive to change”. A powerful lesson. If we think back 65 million years to when a big lump of rock hit what would eventually be a Tequila bar on Mexico’s Yucatan peninsular, it wasn’t the biggest or strongest things like the dinosaurs that survived but the little warm-blooded mouse-type things that were flexible and adaptable and eventually stood upright and became us and created the need for the Trouser Press. The corporate world often fails to heed this message. Let’s take three recent examples. In 2013, two companies announced that they were in difficulties; HMV and Blockbusters. One of the reasons given in the press was that they did not see the writing on the wall with regard to the downloading phenomenon; to some extent, they still subscribed to the “people want to go into stores and browse” model. Which, of course, some do. But not enough anymore. It doesn’t matter how big you are as an organisation, or how long-established you are (HMV had been going since 1921); if the business model doesn’t flex and adapt to what the people want and/or technological changes, then it’s curtains. HMV is in the process of reinventing itself. Not so Blockbusters, unless I’ve missed it. Pedants amongst you will have already thought about Pi, or, of course, Euler’s constant; approximately equal to 2.71828, and is the limit of (1 + 1/n)n as n approaches infinity, an expression that arises in the study of compound interest. I looked it up. It’s probably not what they meant though. He patently didn’t see the Corby Trouser Press coming. Deja Vu. All over again. I have written previously about the challenge of writing that difficult second book (Close to the Edit) and also this time last year of celebrating the end of my second year of independence (Lessons Learned Log). Well, this latest post cleverly (my words) combines the two. It is the end of Year Three. I’m still loving it. I can still afford to feed the badger. And I am writing another book. This, of course, has nothing to do with the fact that August is quiet (it does and it is) but more to do with applying Point One of my Lessons Learned Log; “Come to terms with the fact that no-one loves you during August and December and write a book”. I am not good at not being busy. However. There are few things more daunting than a blank page. Well, actually there is. Being at the dentist. A job interview. Being asked your name in Starbucks. But when you are trying to be creative, whether it is a course, a book, a blog or a song, that moment when you are faced with a pixel-less screen is filled with a tension that says “what if I have nothing to say?” The trick, I have found, is to write about having nothing to say and just see what happens. Don’t tell me you haven’t noticed. But, it appears that I have quite a lot to say. 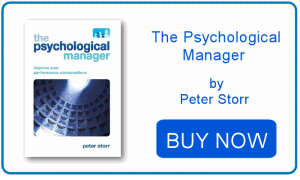 My first book was about applying some psychological principles to your management of people. The second was about career coaching yourself. The narrative that is currently forcing its way into my consciousness like a dog with a cold nose is about dealing with change. As a manager. As an employee. As a, you know, person. And with that, of course, comes a veritable gamut of related topics that I draw on in my workshops; emotional intelligence, resilience and cognitive bias, self-coaching, reframing, having difficult conversations, dealing with resistance in your team and dealing with resistance in yourself, understanding and applying your strengths to increase said resilience. . . Not to mention applying all this to the organisational context you find yourself in – or perhaps more accurately, choose to be in. I think I’d like to read a book like that. I have never seen it all in one place in an accessible format and with witty one-liners. I’d better write it then. Wish me luck – and BBC, if you by any chance read this, please take Bargain Hunt off for a month or so. Thank you. It’s been a while since I felt the urge to write a blog, and the re-emergence of this itch has coincided with a spare hour in Caffe Nero[i] (Waterloo Bridge, if you’re asking). So, in my first blog of the year, I thought I would write something about an uncontroversial topic that is unlikely to divide opinion. Now, I have written before about amygdala hijacking (see Biting the Arm that Feeds You) and here is another classic example. Another example of a limbic system overload creating a result that no-one, including Jeremy, wanted; being sacked. Therefore, by definition, emotionally unintelligent. The whole sorry debacle brought to my mind in this coffee shop a saying from an old manager of mine back in the days when I was gainfully employed. “Emotions have no place in the workplace” he used to say, nodding sagely. I assume he meant this generally. Not at me specifically. Anyway, I still remember it and he was utterly, hopelessly, naively wrong. Because, to put it incredibly simply, emotions are pretty much all we are. They inform virtually every thought we have or action we take. An emotion prompts us to do something, whether it is to smile at a potential client or to escape a sabre-toothed cat arriving unannounced in your cave just outside Basildon. It’s what they are for. Without an emotion we couldn’t make a decision; logic and rationality assess the pros and cons of a situation but it’s an emotion that chooses between the alternatives. They help us determine what is urgent, what is important (although we often get our wires crossed with that one) and what needs careful handling and who (and how) to build relationships with. So I think what he meant is that being emotional has no place in the workplace. Is this necessarily true? – or even possible? It depends, I guess. If you are constantly bursting into tears because someone has looked at you in a funny way or going into a sulk because you haven’t got your own way then I guess there is likely to be an impact on your perceived credibility and you might want to try some alternative coping strategies. If we never show emotion, however, what does this say about our authenticity? 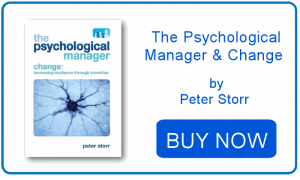 There are whole leadership tomes and models devoted to being the authentic leader – showing your true self with its strengths, weaknesses and idiosyncrasies but with skill, subtlety and nuance. Emotionally intelligently. Obviously, there is a limit. Expressing displeasure, annoyance or excitement is one thing in the workplace. Biting an opponent or punching a colleague quite another. No ifs, no buts. No matter what else is going on in Jeremy’s life, or indeed how talented he is, no-one is above the law. The BBC effectively had no choice – we have seen where not addressing problems with on-screen talent has got them recently. Whilst sad for all concerned, we should applaud the strong managerial stance they have taken despite it presumably hitting them financially and firmly where it hurts – right in the ratings. It is sad because he is undoubtedly talented; watched by 350 million throughout the world. That is more than read these blogs, probably. Top Gear is also my own guilty pleasure; I know I shouldn’t like it but I am a middle-aged man who likes cars and has an irreverent sense of humour. I am the target audience. I do like it – even though it does bear more than a passing resemblance to Last of the Summer Wine (ask your parents). The lesson here is that emotions – or rather, the way we handle our own and others’ – has everything to do with the workplace. Emotionally intelligent recognition and expression of emotions, situationally appropriate and in the spirit of authenticity makes for career success – way more than our intellect, if we believe the emotional intelligence literature. The alternative, as we have seen this week, can be somewhat career-limiting. And yes, I’ve got a course for that. How to stop being so, well, British. An incendiary title, I know, especially in these (largely self-proclaimed) post-rise-of-UKIP times. I love being British, albeit with a healthy dose of Viking which mainly comes out when I get close to a fjord. The glacial valley, not the car. Anyway, there is much to celebrate in being British, wherever pond our particular amphibian ancestors flopped out of to avoid the pre-Cambrian shopping trolleys. But it comes with baggage. A peculiarly British disease which can be endearing but can also hold us back. This problem seems particularly rife in my own ancestral home of the Midlands, but it is everywhere. And no, it is more than just being secretly glad when it’s cool enough at last to wear a nice jumper. Take this typical conversation. It helps if you put on a Birmingham lilt but that’s just me. This is interesting, linguistically. Take the first answer. We were asked how we were, not how we weren’t. But that is how we often choose to answer (let’s save the thorny issue of choice vs habit for another time). Now, I was brought up with this (“don’t look forward to that school trip, it will probably get rained off/cancelled/end in multiple fractures”) and it was no doubt done with the very best of protective intentions; it is best not to get your hopes up as you will only be disappointed. The problem is this can then become, if we are not careful, the narrative of our lives. It becomes our Truth, reinforced by our old friend Confirmation Bias (see previous Blogs. Yes, probably all of them). And it’s hard to argue against it. But this focus on the negative just in case can hold us back; it can prevent us trying new things, capitalising on opportunities or going to the seaside. And this way of thinking can permeate business culture and practices too. Think about Training Needs Analyses. Development Needs. They focus primarily on the deficit; what we are not good at in the hope of making us slightly less not good. There is another way. Appraisal systems could have a section saying “What strengths can you capitalise on in the coming year” as well as “what weaknesses do you need to address”. So. This is a call for balance. I am increasingly doing work in the field of identifying strengths for individuals and teams and helping them stretch them, and the more time I spend doing this the more convinced I am of the need to spend at least as much time understanding and stretching our strengths and the things we are good at (and therefore usually enjoy) as we do our weaknesses. So. Work out what they are and proclaim them from the rafters. In a gloriously understated, British way, of course. Curses. It’s gone warm again. I have just celebrated (with a curry, if you’re asking) the end of my second year of running my own business. After congratulating myself on successfully avoiding the inevitable LinkedIn plea for plaudits, I took to reflecting on the highs (many) and the lows (a few, but then again, too few to mention[i]) of my two years of independence. So, for what it’s worth, here is a selection from my “Lessons learned” log. Take from it what you will; steal, adapt, ignore or hoot with derision. These are in no particular order and many may be completely wrong. Come to terms with the fact that no-one loves you during August and December. And try to enjoy the time off. Decorate. Write books. Rearrange your stationery. And don’t panic. Congratulate yourself on the fact that by far the best form of marketing/business development is to do a damn good job the first time. And the time after that. Etc. Ad lib to fade. . . Standing up in front of an audience for an average of three days a week is an excellent weight loss mechanism. A celebratory gin afterwards isn’t. Balancing current delivery with future work generation is a delicious tension that should never go away. If it does, you are doomed. Love all your clients more than all the others. Remember that the clients who read blogs are apparently the most intelligent and astute. Learn to love admin days. And get used to the fact that no-one is paying you for them. If you work from home for more than a few days at a time, under no circumstances give in to the temptation of watching Bargain Hunt at lunchtime[iii]. It’s a slippery slope. Keep your saw sharpened (see previous blogs). Whether you have too much work, or not enough, take each week at a time and don’t panic. Don’t panic. It’s all going to be fine. [i] Actually, that’s not strictly true. But I’m not going to. [ii] Like all facilitators, I have had the feedback that an event was “too long”, “too short” and “about right”. From three people sitting next to each other. I mean, really. What am I supposed to do with that? [iii] And under no circumstances start making bets with yourself as to whether the Blue team or the Red team will win. Therein lies madness. The vast majority of theories of learning and development – and therapy, come to that – all say pretty much the same thing; that what we are unaware of controls us, and that of which we aware, we can control – and more importantly, can make sure those attributes work for us. If we know what our skills and strengths are, we can make sure we use them to our advantage. And that is very important when job hunting because if we are sure about what our Unique Selling Points are, we can make sure potential employers know what they are too. We are all used to seeing brand names for products and services all around us every day of our lives. We gradually attach meaning to those brands. We will associate some brands with quality, some with value, some with products and services we trust; yet others with distaste. Think of 5 brands that you have been aware of in the past few days. What thoughts and feelings do those brands conjure up? What words would you use to describe them? How do your thoughts and feelings about these brands influence what you buy? Peculiar as it may seem, brands also apply to people. Like with products and services, they act as a kind of shortcut so we don’t have to build up a picture of them from scratch every time we think about them, see them or have to interact with them in some way. You have a brand. It is what people say about you when you are not in the room. It helps us to separate ourselves from the competition when we are job hunting, to increase our visibility when we are looking for that promotion and it also helps us to be clear about who we are and to ensure we are acting in ways that are true to who we are. It has built up over a long time but it need not be hidden to us or beyond our control. It is a very useful exercise to think about how others might see you and how you wish to be seen. We can also shape it to make sure we are coming across in the way we intend and have a clear message about who we are. Determining our values can help us to identify what we want from our work. Values are different from interests and also from our skills and strengths. Values are our core beliefs about what is right and wrong and what is important to us; they reflect the footprint we want to leave and they say a lot about who we are as individuals. The culture we were brought up in, the way we were parented, our religion and our experiences as children and as adults all have an impact on our values. They can be treated as a route map; an inner voice or guide – or sometimes our conscience – and ultimately lead us to determining our behaviours and attitudes. When we act against these values, we get a ‘pricking’ of our conscience. Psychologists call this cognitive dissonance. It’s an unpleasant feeling and it’s unpleasant for a reason: in order to prompt us to change either the belief/attitude or the behaviour so that the tension goes away. It’s always worth listening to this tension – this inner voice – because when we behave in accordance with our values, we become more fulfilled by what we’re doing. Our strengths are different from our values. Our strengths are those qualities that energise us, when we are acting at our best and when we appear full of energy. When we are using our strengths at work, when we are using them to help our job hunting or merely helping us be clear about how to sell ourselves when applying for jobs, we can be sure that we are coming across or performing at our best. When things are going well, playing to your strengths help you to do even better. When things are rather more difficult or challenging, we can turn to those strengths to increase our confidence and resilience. For example, I know one of my key strengths is Common Sense. When times get tough, I can consciously turn to this strength to get the best from the situation by logically evaluating it. A useful framework of 24 work-based strengths has been developed by The Strengths Partnership (www.strengthspartnership.com) and these are explored in my latest book. These were chosen through research to depict the 24 strengths that have the biggest impact on work performance; examples are Relationship Building, Results Focus and Persuasiveness. There is a saying that “if you have more than three priorities, you have no priorities” – and it is difficult to concentrate fully on more than three of these strengths when faced with a real-life situation. Identifying the three “standout” strengths from the full list of 24 is useful to ensure that they are always at the back of our mind; choose the three that are most descriptive of you. For each of these strengths, you can then ask yourself the following questions: when have I demonstrated this strength? How did it help me meet a difficult challenge? How can I stretch this strength further? When we have identified our top three strengths, we have the instant answer on the tip of our tongue to the question “What do we get if we employ you?” and you have a useful framework for your opening paragraph on your CV! Adding your values to your strengths and key transferable skills (learnt from previous jobs, our studies, voluntary work or even travel) help you create your Unique Selling Point – what it is about you that makes you special and organisations can see at a glance whether you will match what they are looking for. Understanding your values, strengths and what you bring to the table means you are better able to sell them – and help you to get that job! PS. there is a prize (of satisfaction, to be honest) for identifying the title reference . . .
 And it’s out in early May. Get that Job in 7 Simple Steps published by HarperCollins. Just because you feel it. . .
. . . doesn’t mean it’s there. Or, it might be but there might be other things too. Or maybe not. To be fair, I am writing this in a dentist’s surgery waiting room in-between treatments, with a numb mouth and a pocketful of painkillers, so I am aware this may need a little explanation. I wanted to write in this blog post about the greatest and most prevalent series of lies we tell ourselves in our efforts to make sense of the world. It is called confirmation bias and we all do it. All the time. Even you. (There is even a bias bias in which we believe that we are less susceptible to confirmation bias than anyone else). It is incredible hard to change a world-view or a deeply held set of beliefs. Attempting to do so touches all our threat, and therefore our fight/flight, buttons. So we don’t do it very often. It is far, far easier to notice and pay attention to all the evidence we can find (or make up) that goes along with these beliefs, and to studiously ignore anything that doesn’t. We are biased in what we see in ways that seek to confirm what we already believe. So, we all do it. We do it with our political beliefs by spinning evidence and we do it with our religion. It’s funny how the religion we were brought up in just happens to be the right one, as the rather controversial Mr Dawkins puts it. But of course it is. We ignore any evidence to the contrary so why wouldn’t it be? It is possible that the Freudian defence mechanism of projection, where we notice in others what we least like (and don’t want to own) in ourselves, is a manifestation of the same process. Anyway, the reason why this all came into my mind today, lying on a dentist’s chair staring into a bright light through rather fetching wrap-around glasses, is that there has been a classic example of this in the media this week. A local (to me) Counsellor from a fringe political party (let’s call them Utwit) has stated his belief allegedly, if not unequivocally, in the link between gay marriage and the recent floods. It is hard not to laugh, even with a numb mouth. But he believes it. To him, it is evidence. The cure? The trick is to notice it, as this is a largely unconscious process. But ultimately, we have to become academics – or at least, do what they do. The basic experimental design involves trying to prove the null hypothesis – in other words, that our idea or theory doesn’t work. If we can’t, it is proved to a degree of probability. It stops the confirmation bias because you are actively trying to do the opposite. You hold a belief. And then you notice the things that appear to confirm it so it gets reinforced and ever more firmly entrenched. Just because you feel it doesn’t mean it’s there. Or is the Truth. It is just possible that the flooding was caused by the jet stream, for example. Just a thought. Although I am biased. . .
On the face of it, it is only slightly less disturbing than it is bewildering. My friend in Australia (more than 100 miles away) sent me a clipping out of the blue from our hometown’s local newspaper (about a hundred miles away). How he got it first I don’t know, but I suspect our respective mothers. Anyway. This picture is of me and my family doing an advertising campaign for said rag in 1971. Imagine my surprise and sense of foreboding. I vaguely remember the matching shirts my brother and me were forced to wear; they would have made Austin Powers wince. They haven’t aged well, let’s put it that way but I’m sure they were groovy, baby, at the time. I wouldn’t know. I was 9. Disturbing enough, you might think; seeing long-forgotten images of yourself aged 9 wearing dodgy clothes coming back to haunt you. Oh no. It gets worse. Next to the photo and some text looking suspiciously like it was written by my mother was a “Where are they now” article somewhat reminiscent of a Spinal Tap movie. After the hype of that shirt and the hyperbole of the text, I could only ever disappoint in real life. Contrary to the article’s assertions, I never ran the BBC. I am not a best-selling author on the scale of JK Rowling. I do not live at Downtown Abbey. How did this get to Australia and back again before getting to Berkshire? Does having a “Where are they now” article mean my life is now over? Is being forced to wear THAT shirt – an identical one to my 7 year old brother, mind – a form of child cruelty? Will it help me sell any books? I have just finished writing that difficult second book. Not quite as difficult as making that difficult second album (I split with myself due to musical differences shortly afterwards) and actually a mostly enjoyable process. It’s about using a self-directed career coaching approach to getting that dream job and is part of a Business Skills series. What was harder this time though is that I was writing for a Publisher instead of for myself. Which meant, of course, that they had a pretty good idea of what they wanted. Which meant, of course, that it didn’t always correspond with what I wanted to say – or more accurately, perhaps, with how I tend to say it. I have to say that my Editor was great (thank you, Ben) and the book is far, far better than before he got hold of it. It now has full stops, sections and clearer explanations instead of a Dickensian ramble which does eventually get to the point if you decide to live long enough to get to the end of the sentence. That sentence would never have got through. . . It is really, really hard, however, when you have burned the midnight oil over a hot computer (you see, that’s why I need an Editor) to hear that it would be better if you changed it a bit. Or a lot. Don’t get me wrong; I know the rules of receiving feedback constructively. I teach it. I believe it. As long as it is someone else on the receiving end. My eventual readers will thank the fact that I did (mostly) listen to the feedback. And they should definitely thank Ben. Them: Why do you want this job? Me: Well it sounded interesting and I am good with numbers. I think. At least, not rubbish. Them: Congratulations. You’re in. You’ll retire when you’re 65. I am sure it wasn’t really like that, but it wasn’t far off. I got an interview at the first time of trying, too, and without really trying at all. I was lucky to be leaving school in that period. It doesn’t work like that now, and it could be argued that it shouldn’t. I got a job that I was not really interested in, wasn’t very good at and it was a rather unfulfilling period of my life – and they got someone who was average at best. Wind forward another month, and I found myself sitting in front of the local HR Director for my introductory briefing to the world according to VeryBig Bank. “Congratulations”, he said, “Welcome to the family that is VeryBig Bank” (Names have been changed to protect the guilty). “I am here to tell you that you will never have to think about your career again. We will do it for you and it is all mapped out like a spread sheet”. Actually, spread sheets didn’t really exist then but you get the picture. My point is that this was sold as a positive thing. In return for undivided loyalty (at that time you were not even allowed a bank account anywhere else) and not being too bad at your job, you got job security and a career path decided for you. You didn’t have to think or make hard decisions about which path to follow. Wind forward another 30 years and things couldn’t be more different. There is no such thing as failsafe job security, it is rare to get a job at the first time of trying and even rarer to be offered a job if you haven’t done your homework. Perhaps the major change though is in who is responsible. I was made to feel like I was a passive recipient of my future, with no control or accountability; as long as I went through the motions, I would fulfil the destiny presented to me. Nowadays, it is us more than ever who are responsible. We have had to replace security in our employer with security in our employability; in other words, it is up to us to build the transferable knowledge, skills and abilities to take from one employer to another as the days of sitting in one place being average are gone. Of course, there are exceptions. But in an ever more competitive job market, with Moore’s Law of computing having an impact on workplace technology (computing power doubling every 18 months or so) and with shifting demographics (more workers from overseas and more workers not simply retiring once they hit 65) the emphasis is on us to take control, decide what we want and to be clear about what we possess as a transferable “portfolio” of skills. So we are now in charge of our career. Which is both empowering and not a little scary.